The map indicated a mountain of Himalayan proportions; a near vertical climb to the top of the Alto da Portela Grande. It was a route grandly described as a “high pass over the mountain ridge”. And then I looked carefully at the contour lines and realised the summit was only 405m high, which in Scotland barely counts as a hill at all. However a heavy pack meant the rutted track through the trees was heart-thumpingly steep, and the Spanish cyclists who’d whizzed past me 30 minutes earlier shouting a cheery “Buen Camino” had to lift their bikes and manoeuvre them shoulder-high over the rocks. Their noisy machismo and bravado had long since evaporated by the time I’d caught up. 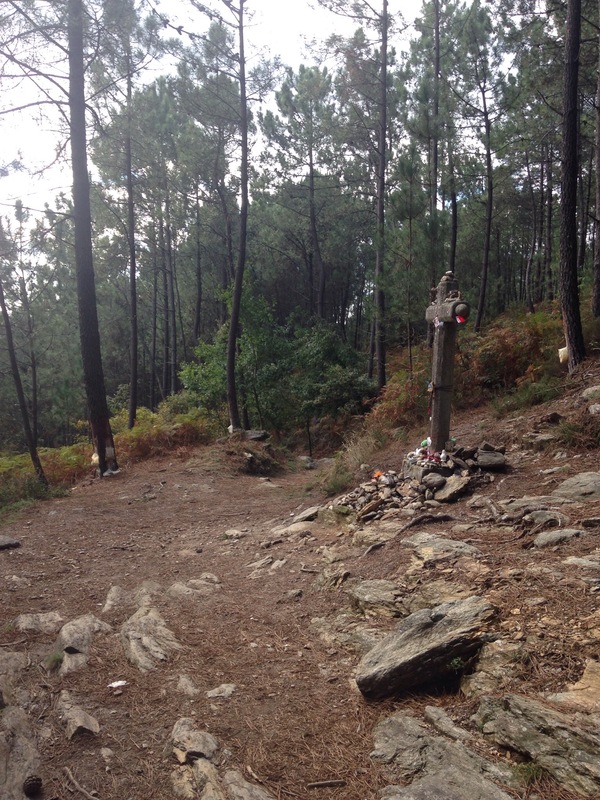 I took a deep breath, changed gear and left them in my wake, pausing for just a few seconds at the stone Cruz dos Francese in the woods near the top. 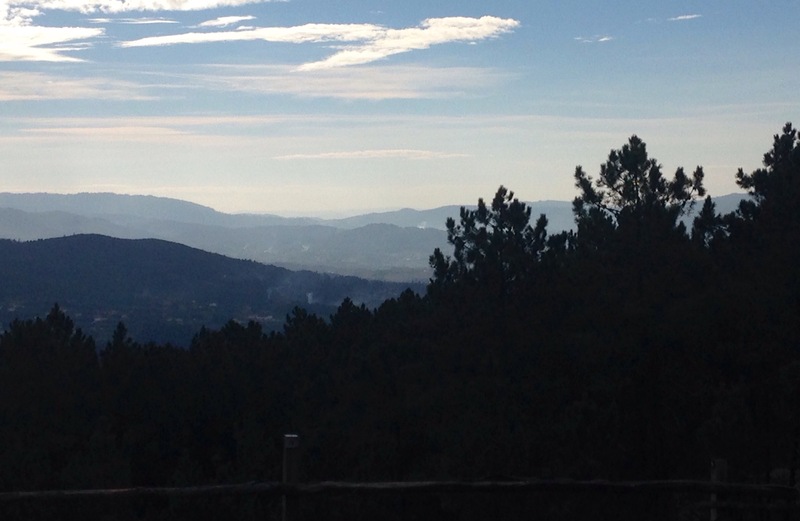 The final push at last brought views into the Coura river valley far below. But there was no time to linger. More bites on my face this morning meant I needed to reach laundry facilities where I could boil bedding and clothes then roast any lingering bugs in a tumble drier. It took some imaginative miming to explain to the Portuguese manager of the next albergue that I would only stay if he had the necessary machines. We went on a tour and found the essential white appliances then (since i was the first person at the hostel) I stood right there, removed my clothes and emptied them and the contents of my pack into the contraption and turned the dial to maximum. I scurried away in a towel to the shower to wait until they’d done their work. And so to the bliss and peace of a clean bed. I’d chosen a quiet corner away from the known snorers but when I returned to the dorm at 9.30pm I discovered the neighbouring bunk was now occupied by the notorious Portuguese Snorer, a man many people have changed hostels to avoid. True to form his bed was already vibrating to deep guttural roars. I rammed earplugs deep into my head and pulled the pristine bedding over my face. The promise of peace was destroyed. This was going to be another long night . You are much tougher than I am!